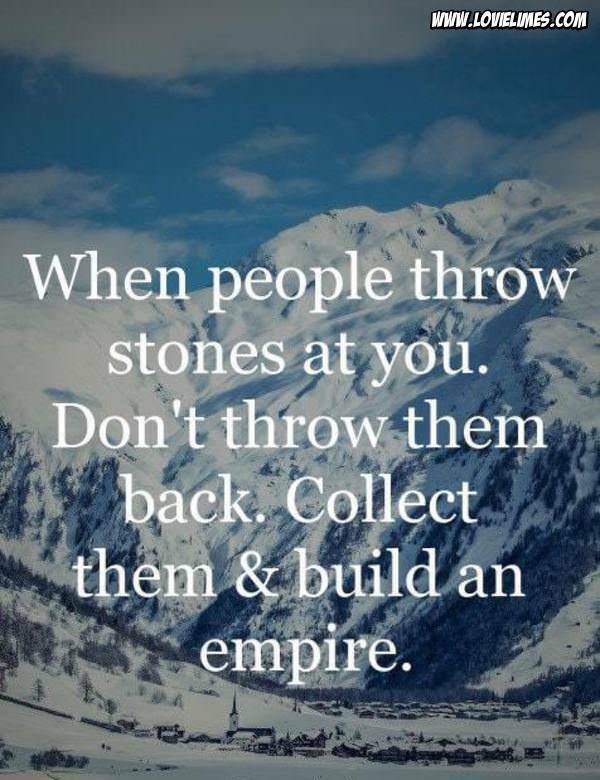 When people throw stones at you. Don’t throw them back. Collect them and build an empire.